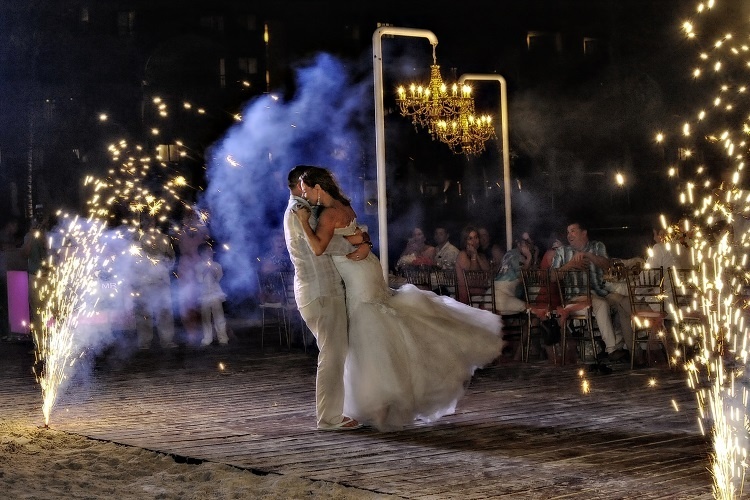 Looking for expert advice on destination wedding photography? Look no further! 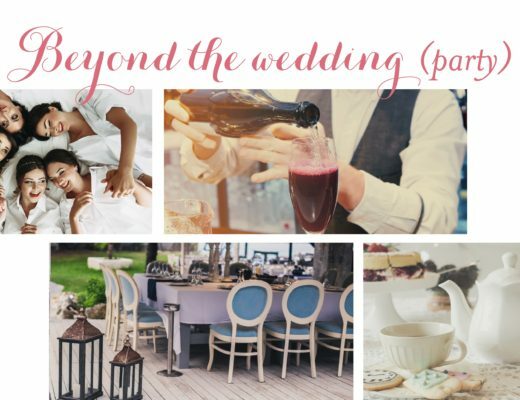 We sat down with Lindsey Capone of Capone Photography to get the inside scoop on the latest trends and how to make the most out of your destination wedding photoshoot! How and why did you begin photographing destination weddings? I come from a family of photographers. I’ve been in the professional industry for about 17 years now, so my love of photographing weddings started at a young age. Being a part of one of the most important days in a couples’ life is what makes my job so unique. I get the chance to step into their lives and create memories that they will be able to look back on, forever. 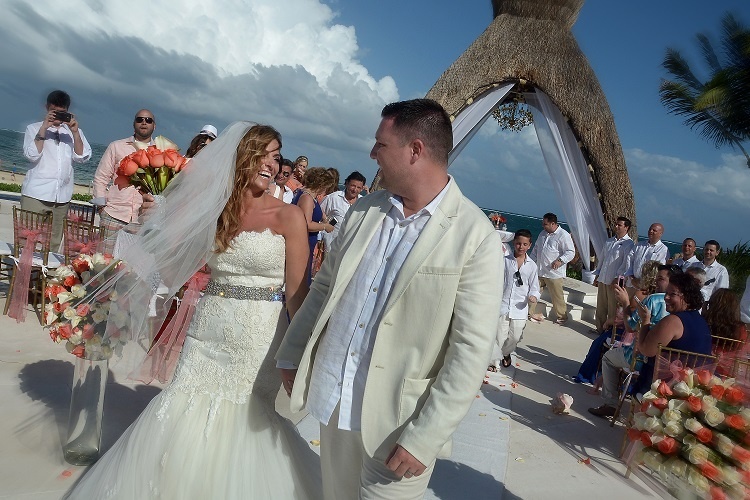 When our first destination wedding came to light, it was at that moment I was hooked! Documenting intimate events at destination locations was something that Capone Photography always wanted to do, and we were so excited to travel abroad to do what we do best. Destination weddings not only give us the opportunity to see beautiful new places and meet amazing new people (both guests and vendors), but it also allows us to do what we love…all over the world! It doesn’t get much better than that. How can couples make the most of their destination wedding photo shoot? Whether your destination wedding is on an island, in another country or just a stones-throw away from a big city, the best way to make the most of your destination wedding photo shoot is to relax and be yourself. Your wedding is a once in a lifetime event and your photographs are how you will get to relive that day all over again. As a photographer, part of my job is to make you look back on your wedding pictures and say “…we had so much fun”. Couples spend so much time planning their big day, so we encourage our clients to enjoy the photo session 200%. Whether it’s tears of joy or bouts of laughter, a lot of our couples love sincerity in an image. It’s that split second that makes a photograph extraordinary to you. And trust me when I say, those special photographic moments will happen naturally, so long as you sit back, relax and enjoy the ride. What makes a destination wedding photo shoot unique? What can couples do to really stand out? Location, location, LOCATION! For couples who want to have a destination wedding, just remember – you’ve traveled quite the distance for your big day, so make sure that all of the beauty and elegance of your special spot are captured in your wedding photographs. Whether it’s in the landscape or architecture, your pictures should show off the uniqueness of your wedding scenery. Let’s face it – there’s a reason a couple chooses a specific location for their wedding day. 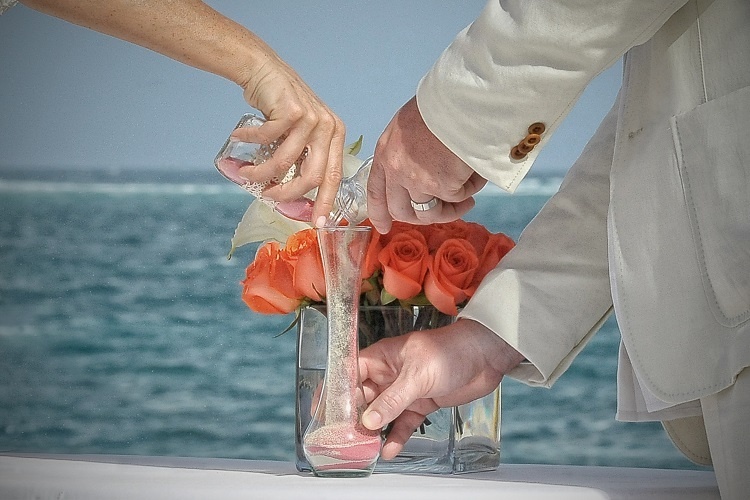 So when we photograph a destination wedding, we ensure that we capture that overall look and feeling in our images. 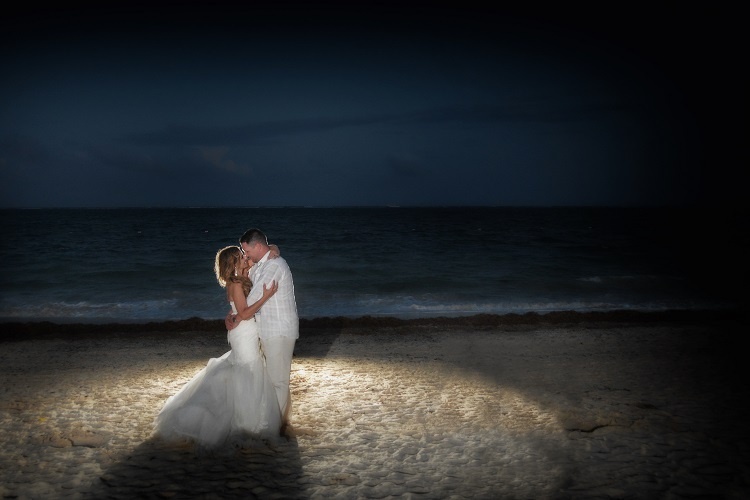 What is your favorite thing about photographing destination weddings? Honestly – everything. 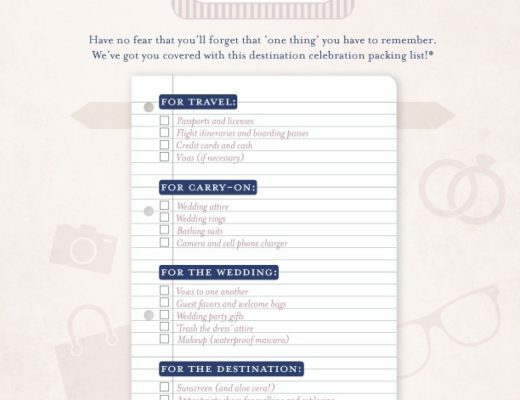 I LOVE the fact that a destination wedding is always different. It’s never the same scenery, and as a photographer, that’s exciting! I always want to try new things and utilize what is given to me. 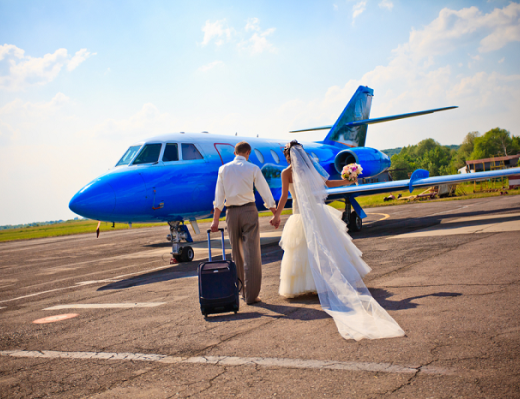 With destination weddings, the sky is the limit. A picture is supposed to speak a thousand words, and I want our clients to experience exactly that. 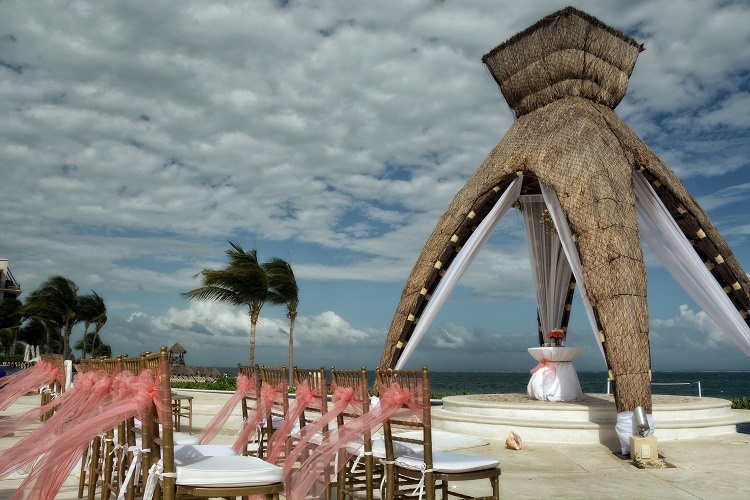 What are the latest trends you are seeing with destination wedding photography? 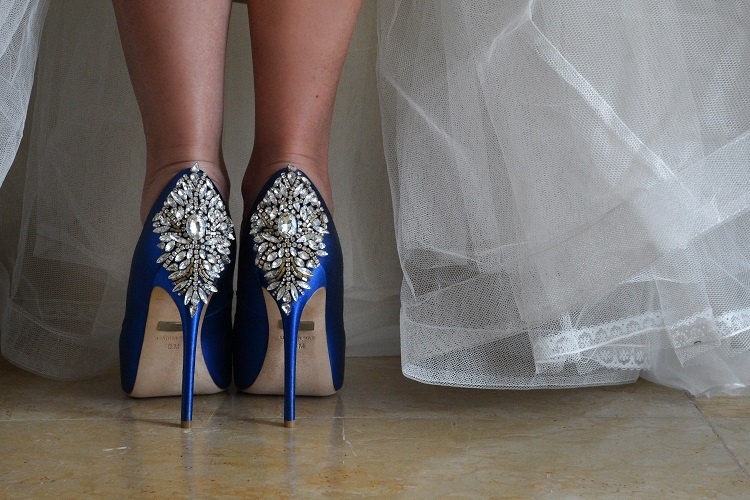 A pre and/or post wedding session seems to be quite the popular trend! For couples who plan on extending their stay at their destination wedding location, keep in mind that there could be an opportunity to do another photo session…or two! Yes, you’ll get pictures taken the day OF your wedding, but what about the day before and the day after? 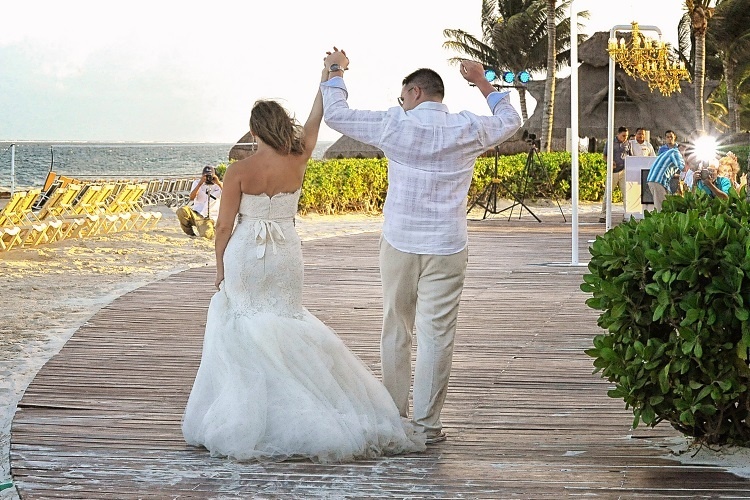 Prior to leaving for a destination wedding in Cancun, we had a conversation with our couple about taking pictures for them pre and post wedding day. The day before the wedding, we documented the bride, groom and their guests just enjoying the resorts’ amenities. Whether it was lounging at a tiki bar swing, playing volleyball in the white sand or enjoying a quick swim in the ocean, we wanted to capture every aspect of the wedding festivities. The morning after this particular couples’ Cancun wedding, we woke up bright and early for a sunrise shoot. We were fortunate to have the entire Dreams Riviera Resort to ourselves. We walked around the venue and captured some of our most favorite sunrise images to date. Thankfully, our couple was up for anything, and our sunrise session doubled as a Trash the Dress shoot as well! Any other tips and/or advice for couples looking to book photographers for their destination wedding? For more information on Capone Photography, visit their website here!